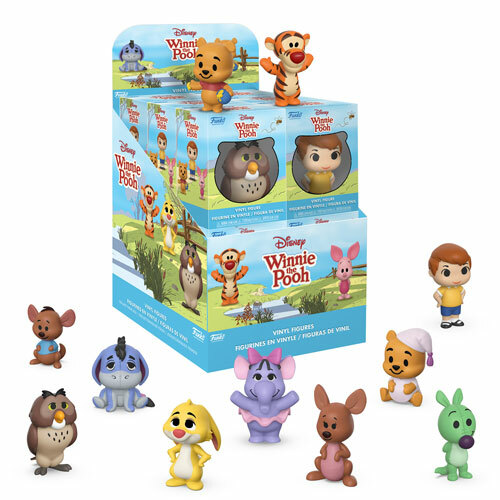 Funko Winnie the Pooh Mini Vinyl Figures! Pay a visit to the Hundred Acre Wood with the best friends you’ll ever find. This Winnie-the-Pooh 12-piece Mini Vinyl series includes Christopher Robin, Winnie-the-Pooh, Piglet, Eeyore, Roo, Kanga, Tigger, Rabbit, Owl, Heffalump, Woozle and Winnie-the-Pooh wearing pajamas. Collect them all and bring a piece of the Hundred Acre Wood home with you.